The Algosea in ballast, upbound. It’s still a little incongrous to see large ships so far from salt water. 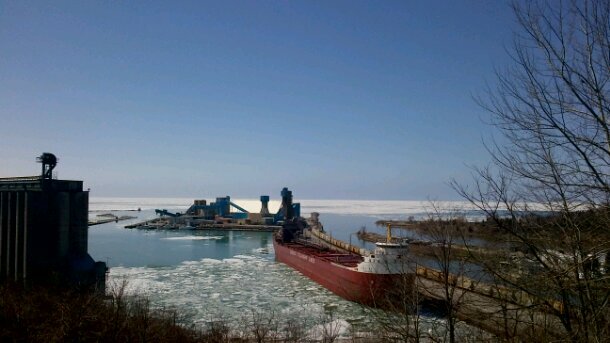 The afternoon was far less austere than this image of Goderich Harbour, with an icy Lake Huron in the background, suggests. The St. Clair River is jammed with ice in some stretches. 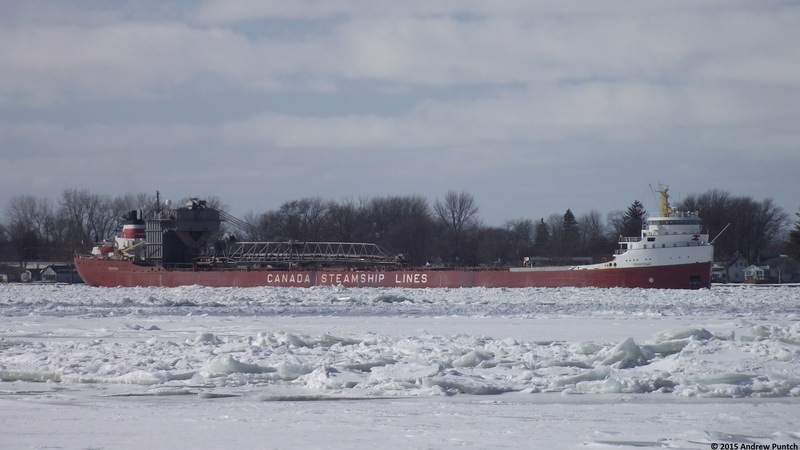 The upbound CSL Frontenac had bare steerageway as its bridge crew picked their way through the jumbled ice. 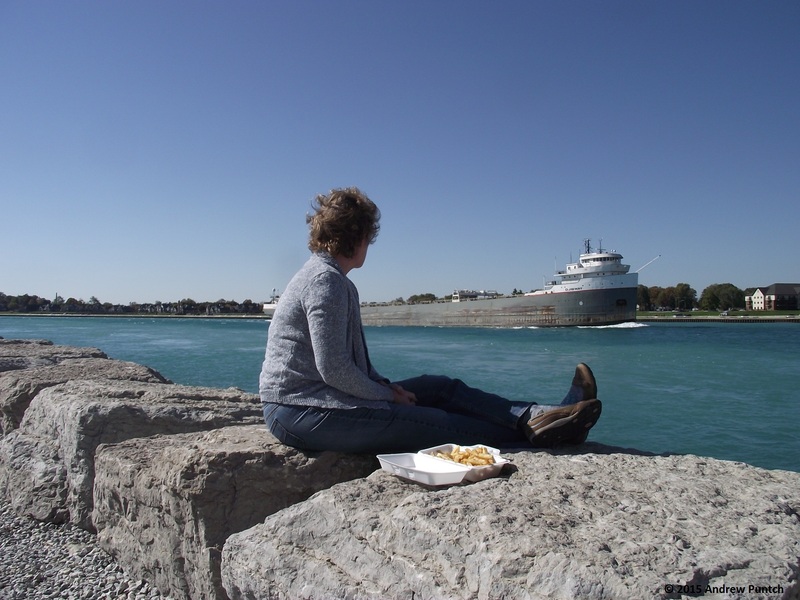 Even after seven years’ living near the St. Clair River, it is still a little odd to watch large freighters juxtaposed with houses.